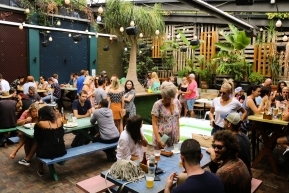 Host your next creative event at The Newtown Hotel. Click below to download our creative event packages or enquire now about the availability of key dates. 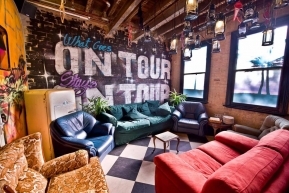 The Newtown Hotel is perfectly designed for your next creative event. 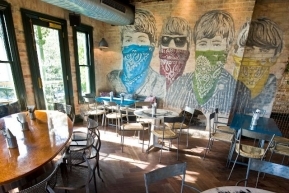 With a flair for brick walls, murals and odd design this venue makes a unique backdrop for all events. Whether you want to host a screening in our 1950’s inspired Cinema Room, are looking to hold a gallery event in the Dining Room or want a funky photoshoot backdrop, our five venue spaces have everything you need. 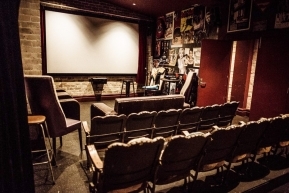 The Cinema Rooms exposed brick walls and 1950's theatre seating is the perfect spot for small events. Make use of the private cinema screen for movie premiers, cult viewings or game nights. The Reading Room is a small but stylish space, perfect for intimate exhibitions and product launches. 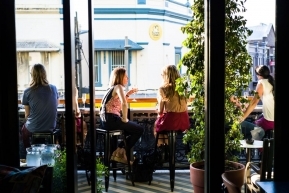 Make use of our breezy balcony and host a lively exhibition or networking event in this versatile alfresco space. The Dining Room is one of our larger spaces. Its unique wall murals and quirky decor make a perfect backdrop for photoshoots and gallery exhibitions. Host your event in this cosy, laid-back function space complete with couches, a disco ball and groovy black and white tiling. Have access to your own sound system throughout the night. 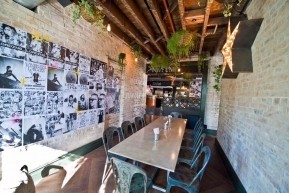 Exclusive venue hire of Newtown Hotel is available for full-blown extravaganzas. Enquire below for more information. Mingle over drinks and a range of hot and cold canapés. Work with our staff to design the perfect menu for your event. 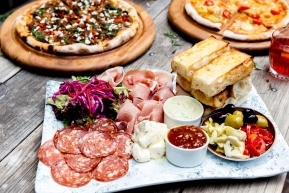 Host an elaborate sit-down meal and network over a range of tasty share platters including mixed pizza boards and antipasto. 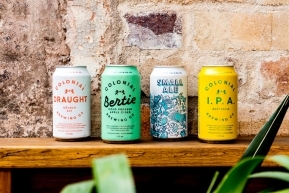 Treat your guests to one of our free-flowing beverage packages including tap beers, tinnies, wines and soft drinks. Complete the form below to start planning your next creative event at Sydney's favourite creative event space.